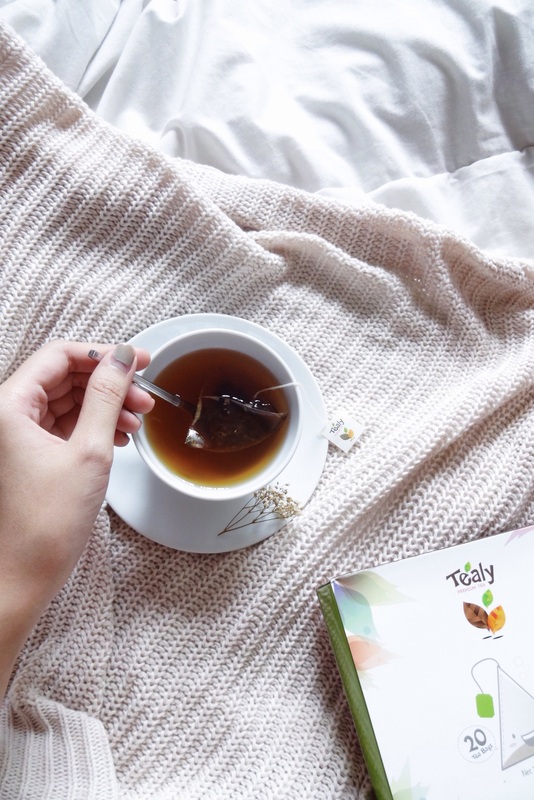 Having previously raved about Tealy – here and here, I was delighted to receive more of Tealy's fine selection of tea blends. As usual, Tealy did not disappoint me as the sweet aroma of the tea dispersed through the house upon brewing. 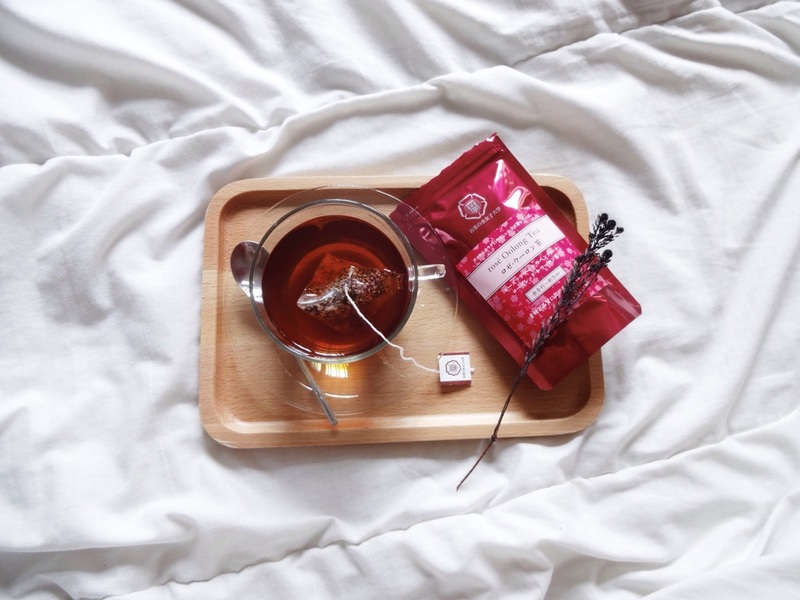 I received the Tealy teabags in the flavor Peach Berry Jasmine Sutra and crossing my heart, I can assure you that they have the best fruity teas I've ever had. I hadn't been a fan of any kinds of tea without milk, but I can safely say that Tealy definitely went beyond my expectations and I can foresee myself finishing this entire box of Tealy tea blends in no time. I like adding sugar to my tea as I prefer them sweet to bitter, and I like that their tea blends tastes so subtly sweet, fruity and a little bitter at the same time. The aroma of the tea puts me at ease, as I would enjoy mine in a cold afternoon all curled up in bed, together with a funny show or a good read. 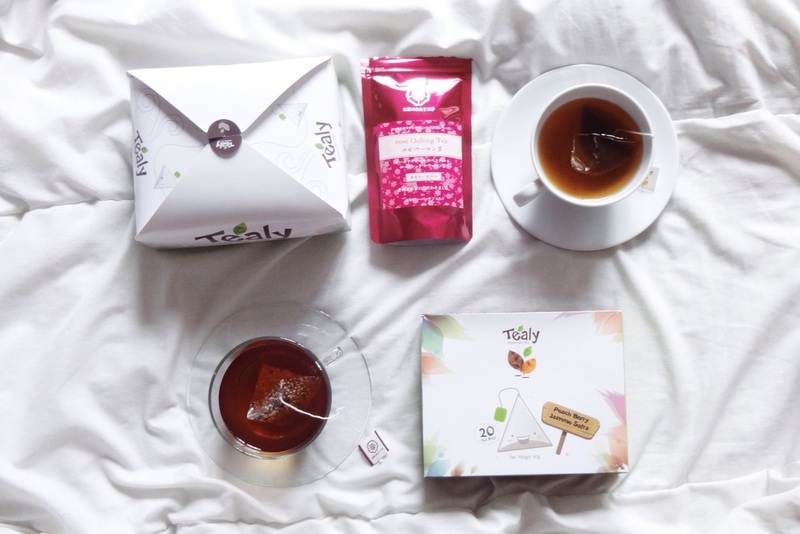 To celebrate this festive season, Tealy has also partnered with one of the top tea brands in Japan to enable us to try out both Japanese tea as well as Tealy, and they come in a Christmas Bundle Gift set that you can get here at 15% discount. Along with my Tealy Peach Berry Jasmine Sutra teabags, I also received the Rose Oolong Tea from the Japanese tea brand (that I unfortunately can't read). In my opinion, I had always thought Oolong tea was for the elderly (oops) and that they definitely tasted bitter. But I was entirely wrong! Similar to the Tealy tea blend, this Rose Oolong tea was equally fragrant and sweet (because I added some sugar), and I liked that there was a hint of floral taste to the tea, making it really unique yet enjoyable at the same time. As above-mentioned, here is the Tealy Christmas Bundle Gift Set that you can purchase from here. Tealy has introduced 6 different bundle gift sets that you can choose from, and mine is the Bundle Set 6 (SGD$18.25) which I thought was pretty affordable considering you get 20 Tealy teabags + 7 Japanese teabags, amounting to probably less than SGD$0.70 for each cup of tea that you can enjoy anytime, anywhere. Tea is also good for detoxing so why not switch to a bottle of tea a day instead of water? Also, in conjunction with this exclusive promotion, Tealy is launching a Facebook campaign – #MyTealy – of which fans and customers can participate by posting feedback through photos or comments on their Tealy Facebook Page, together with the hashtag #MyTealy! The top 3 posts with the most number of likes can stand to win a Christmas Bundle Gift Set, what a great gift for Christmas! You can enter 'XS141203C' for an additional 5% off your Christmas Bundle Gift Set.